Duncan Zgambo aka Gwamba (born November 4, 1990) is a Malawian rapper well-known for his style, a delivery of hip-hop lyrics in vernacular Chichewa. A native of Rumphi, northern Malawi, he derived his stage name from tribal language Tumbuka, which means "Someone Who Gives". Gwamba started rapping in 2005 as a kid who grew up in the capital Lilongwe. His passion for rap music came when he was in Form 1 at St Johns Catholic Secondary School, where with his hommies Cyclone, Emm Q and L.I they formed a crew called Pittie Boiz. They rocked music events every now and then at school, having freestyle every time the lights went off. Hip-hop became a huge part of Gwamba's life and he grew up into the rapper he wanted to be, inspired by US rapper 50 Cent and locally The Basement. He has been in the M-Dubz (Malawi's urban music industry) game for five years; after he first dropped his first single with the Pittie Boiz called "Work That Thing", which got first airplay on FM 101 radio's Gowelo Beatz in 2008. The song enjoyed massive airplay and became a banger when the crew dropped a video on Television Malawi (now MBCtv). Gwamba started recording as a solo artist 2009 and has dropped hit singles such as "Mmesa", "Tikakumane Kumadzi", "Sindingasiye Bawa", "Carina ya Mdala". In 2013, Gwamba released 3 blockbuster singles: "Ndi Ofewa featuring EMM Q, Bola Kusache featuring Nesnes and Ndiyima Pachulu Featuring Bucci". Bola Kusache was one of the most downloaded songs in 2013. 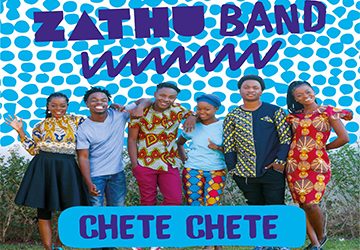 Ndiyima pachulu Music video was released in February 2014. A song-writer, Gwamba's lyrics are inspired by real life and being around good people. He has worked with local hip-hops heavyweights such as BarryOne, Young Kay, Third Eye, Phyzix and dancehall star Blakjak. Gwamba now a Gospel artist has dropped quite a number of singles such as "Better" and "Alleluyah" both featuring Emm Q and "Nzeru" featuring Maskal. All songs are doing remarkably so well, despite people thinking he would lack creativity in gospel material.